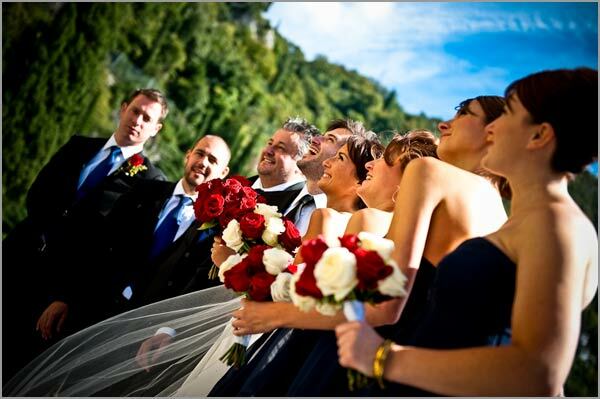 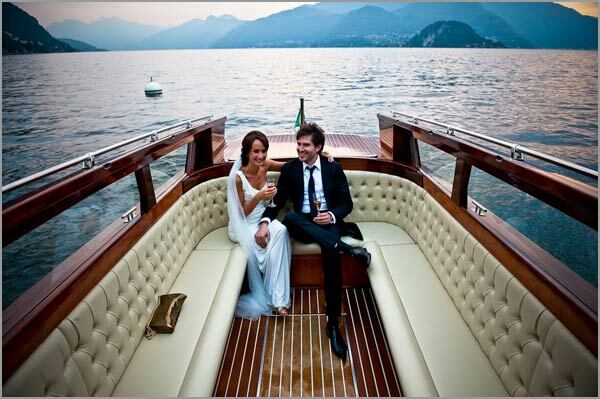 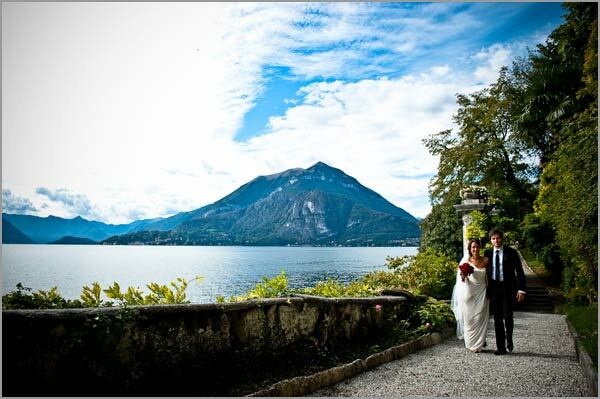 Julia and Angus are a lovely couple coming from UK and they got married in Varenna – Lake Como on 28 September. 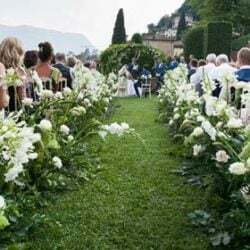 From the earliest stage of the planning, Julia already knew that red roses with a bit of cream and blue details would have been her choice for her Big Day theme. 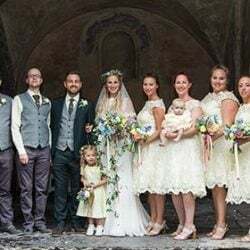 Outdoor ceremony was dominated by an impressive red and cream arch, a romantic aisle of red petals, red and cream buttonholes and gorgeous bright bouquets: total red for the bride and red and cream for the three bridesmaids, two of them are Julia’s sisters! 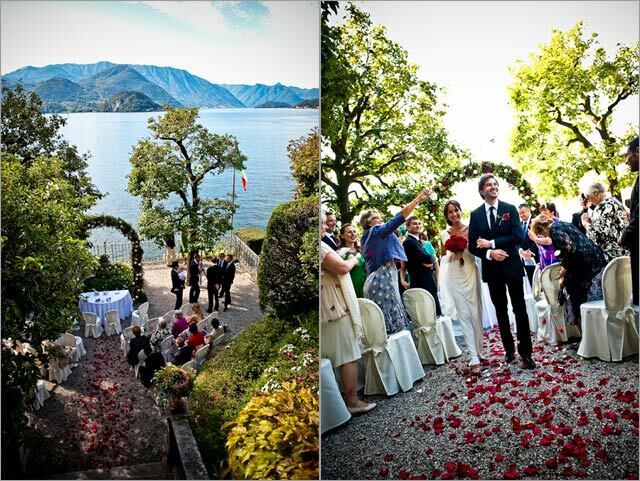 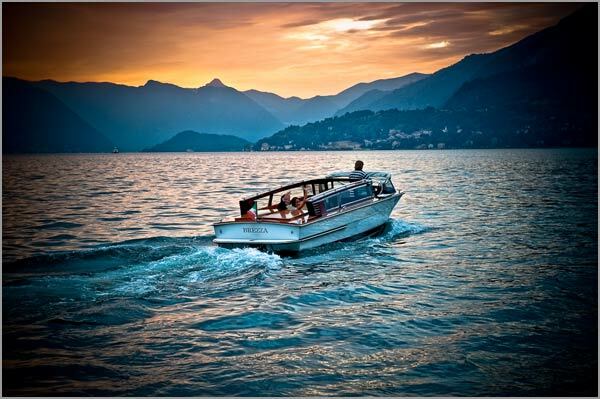 All people in Varenna were enchanted when Julia and her wedding party took a walk in the village of Varenna for some lovely pictures. 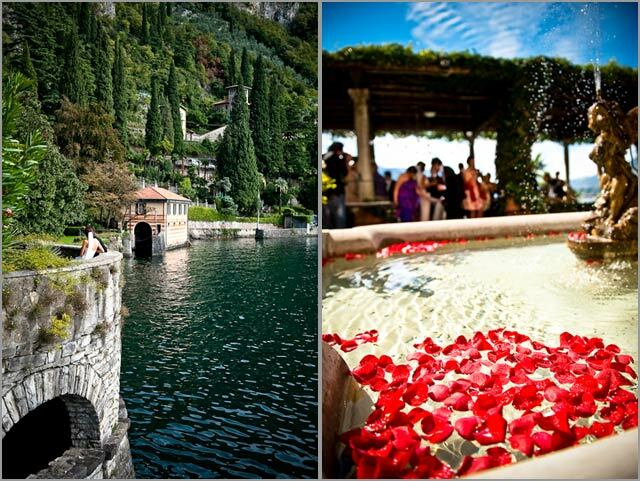 After the ceremony all guests and newlyweds enjoyed a delicious cocktail on the terrace with its ancient fountain plenty of hundreds red floating petals. 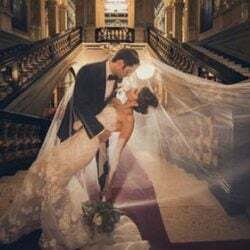 Wedding lunch was served indoor immediately after the cocktail. 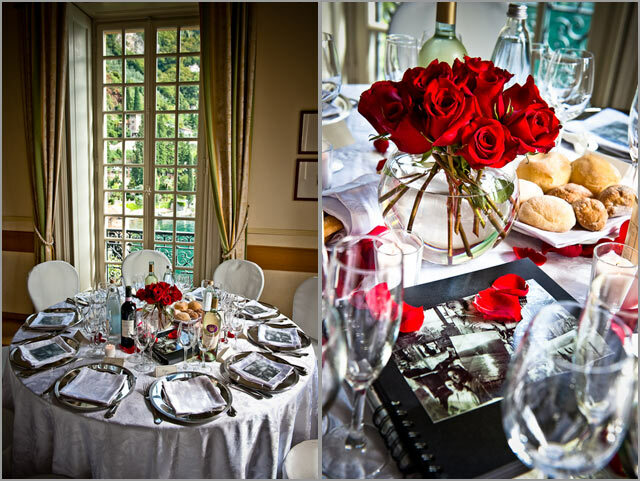 Julia and Angus chose red color as main character of their elegant centerpieces too. 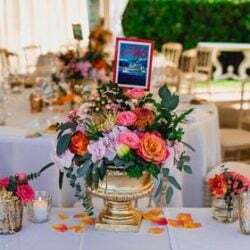 They were made with transparent glass bowls adorned with deep red bouquets inside. 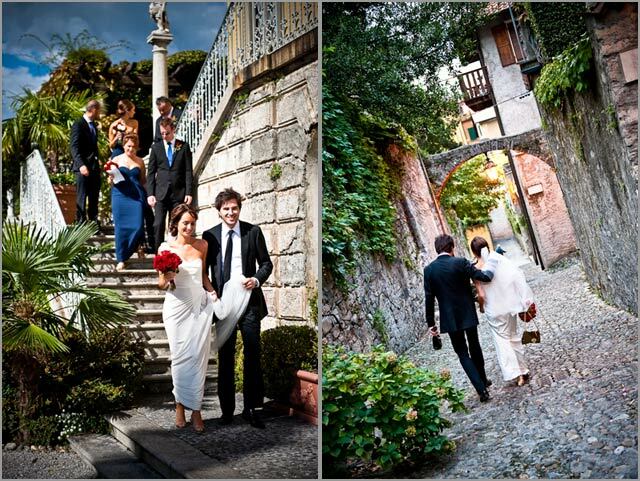 This combination of colours gave a strong impact to all the pictures taken by the amazing photographer Mauro Pozzer. 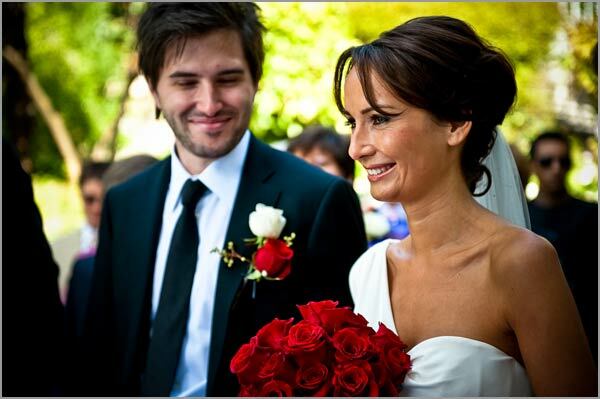 Julia was absolutely right! 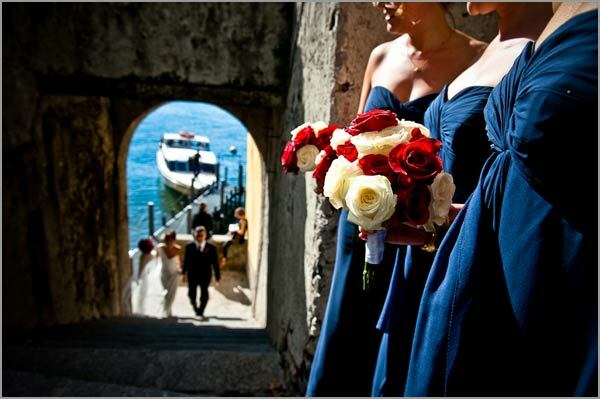 Red and blue details are a perfect choice for a wedding out of ordinary. 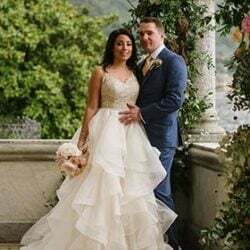 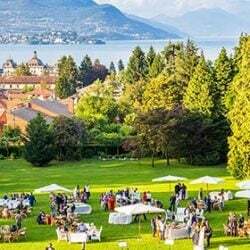 If you’d like to know more about Julia and Angus Big Day, don’t miss the complete photo gallery in ‘Real Weddings’ section of our website, where you can find lot of pictures of their special event on Lake Como!